NASCAR heads to Kentucky this week for the Quaker State 400, as they get back to intermediate-track racing to take on a perilous 1.5-mile track at Kentucky Speedway. Martin Truex Jr. has had tons of success on intermediate tracks in the last few years, as has been well documented, and he will be looking to defend his title in Kentucky Saturday at 7:30 p.m. on NBCSN. Truex has been very good in two runs at Kentucky since the re-pave in 2016 and has had great recent success this season with two wins, three runners-up finishes and seven top 5s in his last eight races. He will be the man to beat Saturday. Brad Keselowski won the 2016 race and holds the second best driver rating at Kentucky Speedway. In addition, he has three wins, three top 5s and five top 10s on the track. Of course though, Kyle Busch will be lurking once again. 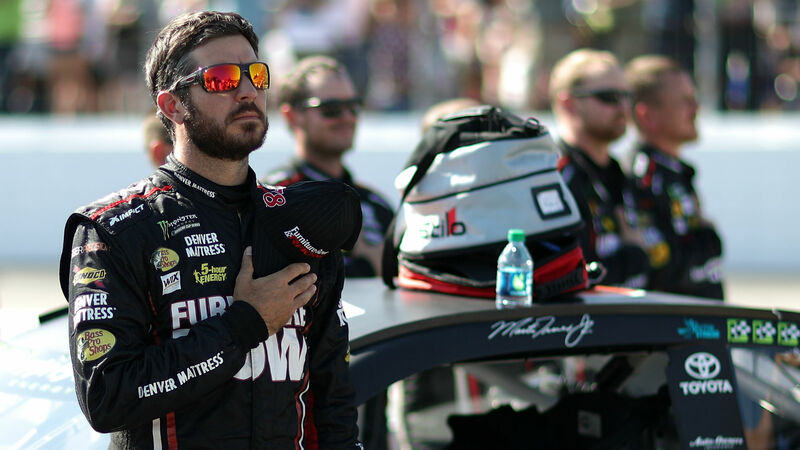 He has the same odds as Truex to win at 7/2, but he boasts the best driver rating at 125.6 and has two wins to back up his success with an average finish of 5.1 in his career. After getting caught up along with Keselowski in the wrecks last week at Daytona, Busch will likely be extra motivated to grab a victory and he is exactly who we are picking to win. What are the betting odds for Kentucky? Which NASCAR drivers are best for fantasy lineup at Kentucky? Small-sample size alert — Erik Jones has run one race at Kentucky Speedway, but he ran it well finishing in sixth place in 2017. Add that to good finishes on similar tracks on tour this season with top 10s at Phoenix, Chicago and Texas in addition to coming off of a win at Daytona and Jones could be primed for another good finish. Denny Hamlin finished fourth at Kentucky Speedway in 2017 and 20th in 2016, but he has been at or near the top of seemingly every leaderboard so far this season. Yet, he has zero wins. But with a second-place finish in Chicago, a third in Charlotte and fifth in Kansas, Hamlin has shown great things on intermediate tracks and will be expected to do the same this week. Chase Elliott is yet another driver victim to a small sample size, but he is coming off of a third-place finish in Kentucky in 2017, and he has been getting better and better every time out this week. Who knows what would have happened at Daytona had he not got caught in the wreck. He has the seventh-highest drivers rating at Kentucky amongst activer drivers at 94.6. Jamie McMurray has two seventh-place finishes since the 2016 re-pave and has been driving well lately too with three top 12s in his last six races. Two of those were top 10s while one was a top 5.